Risk Assessment are carried out in a standard 5 stages. The HSE has a simple process to follow on risk assessing called the 5 steps of a risk assessment. We have put links in the student download area so you can find out more information. This process is standard with risk assessing and it works in all businesses no matter what their size or type. All the information in this section is as advised by the HSE so following it will ensure you are as compliant as possible. Step 5 Review your assessment and update if necessary. It is important when carrying out a risk assessment not to overcomplicate the process. In many organisations, the risks are well known and the necessary control measures are easy to apply. When risk assessing for the first time you may have already taken reasonable precautions to avoid injury. If you run a small organisation and you are confident you understand what’s involved, you can do the assessment yourself. You don’t have to be a health and safety expert. If you work in a larger organisation, you could ask a health and safety advisor or a health and safety representative to help you. If you are not confident, get help from someone who is defined as a competent person. In all cases, you should make sure that you involve your staff or their representatives in the process. They will have useful information about how the work is done that will make your assessment of the risk more thorough and effective. But remember, you are responsible for seeing that the assessment is carried out properly. When thinking about your risk assessment, remember: a hazard is anything that may cause harm, such as chemicals, electricity, working from ladders, an open drawer. A risk is a chance, high or low, that somebody could be harmed by these and other hazards, together with an indication of how serious the harm could be. 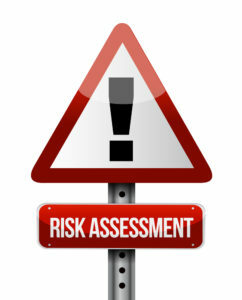 A risk assessment involves assessing for all the hazards in the workplace, considering what could really harm people. For each of these hazards, you need to think about how serious could the harm be? Is it a cut finger or months off work with a back injury or musculoskeletal disorders. Who could be harmed and how likely is that? Do you need to do more to control the risks?